Paul Richard Bullivant Living On Fountain Terrace, Bacup 1950 57 - a Memory of Bacup. From being born on Fountain Terrace, Bacup in January 1950, to leaving in the summer of 1957 to go and live up Gladstone Street. I remember myself and my two sisters living in a mid-terrace house with no electricity and no central heating - just a back stove. The house had stone steps that were well-worn, and we used to have a bath once a week in a big zinc tub that hung behind the kitchen door. The gas lighting was a delicate affair, and if you accidentally knocked a hot gas mantle, that was it, it was done for, and you got a clout around the head. We had a cellar under the house which was supposed to store coal, but there was never much coal in it. Near Bonfire time it was at one point stuffed with old paper, and other rubbish we had collected. Thinking back, it was definitely a bit of a fire hazard! There was some kind of radio that came in to the house via a wire, and you could get radio programs on it, but only about four or five. Opposite that house was a factory will a tall chimney, and a bit further down the road there was a Sunday School Chapel, which we sometimes went to. I remember often going around the corner and helping a chappy called Norman fix his car in his garage - I would pass him a spanner, or whatever, and generally watch him fix his car. He was a fireman, and at Christmas one year he managed to invite myself and my sister Pearl to see Santa Clause - we both got a present. Quite often I used to collect penny milk bottles and take the back to the corner shop (Broddericks)... when I had enough money saved up, I could go to the local cinema in Bacup town centre and watch the Saturday morning film show - all good fun. I doubt whether anyone can remember any of the above details now, because it was all so long ago.... but you never know, some details might stir a few memories. If anybody reads this, my name is Steven Gilder. I have one brother called Marcel Gilder. Our dad was called Jack Gilder and our mother was Lidiane Gilder. Both out parents are no longer living. Has a family we used to live in number 3 Fountain Terrace Bacup Lancashire. My age is 55 and my brother is 60. We has a family left Bacup to move to East Anglia, Norfolk and Suffolk when I was 9 years old. Me and my brother were really liked by Lizzy and Harold Broderick who run the Corner Shop next to Fountain Terrace. We will always remember moving away in a big lorry sitting in the back with what ever furniture we had at the time and waving good buy to everybody. Some other things that might jog somebody's memory of us, our mother was Belgium and had a sister who lived close bye Rawtenstal her name was Marie Evans married to our uncle Robert (Bob) Evans who had a son called Frank Evans married to Jenny Evans. I would love to find frank again since our aunty and uncle died we've just lost contact. Another thing that might prompt peoples memory I'm sure we went to School Fearns ? Might have spelt that wrong. Finally I and my brother Marcel would love to find some of our old school friends - people who remember our parents and any information regarding our cousins Frank and Jenny Evans. 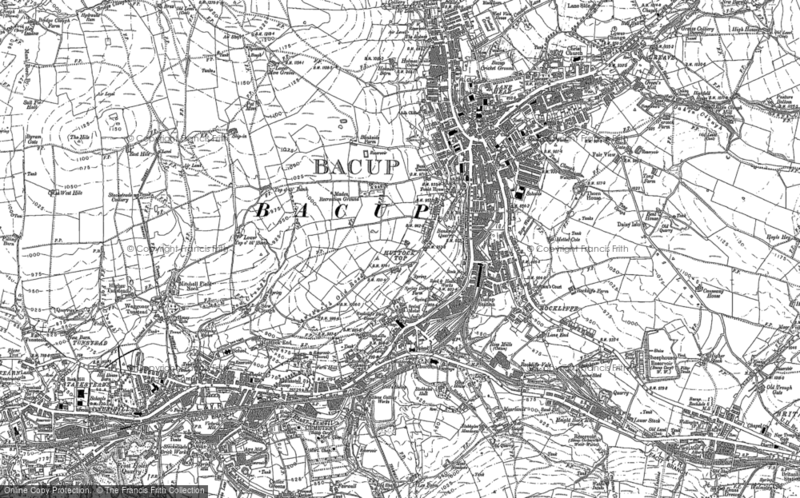 Bacup was certainly a period of time I remember with happiness and a touch of sadness. I can be contacted by email, telephone or letter details below.